Carbon Monoxide (CO) is a highly toxic proven to be fatal if ingested in large quantities. Certainly, the danger of CO stems from its poisonous nature, but in addition, it is scentless, which makes it all the more hazardous. This is why homes are typically outfitted with CO detectors, those screeching devices plugged into outlets around your home. CO detectors are vital to your home and family’s safety for the very reason that without some sort of monitoring system, Carbon Monoxide is liable to infiltrate the home without you ever knowing. This begs the more fundamental question of how CO infiltration happens, where it stems from, and what a homeowner can do, outside of a detector, to prevent this silent killer. The most common cause of CO is an improperly used heating, cooking, or ventilation system. These utilities can allow CO to leak into your home, which will leave you breathing in hazardous gas without ever knowing it. You will notice that many of the items listed above are gasoline powered systems. This is the direct cause of CO, and why folks are warned not to leave cars running in their garages with the door closed. When Carbon Monoxide enters the air in your house, you will end up breathing more CO than oxygen. Once you inhale, your body will mistake the poisonous gas for regular, life-giving air, and begin the oxygenation process, pushing the gas throughout your blood stream. How bad you are affected by CO is contingent on how much exposure you have had to the gas. In some cases, you will merely feel the immediate effects mentioned above, but things can get serious pretty quickly. After nausea, vomiting, and loss of balance and muscle control, someone who has inhaled a great deal of CO will likely pass out, and ultimately suffocate. CO detectors are a standard safety precaution that should be taken regardless of whether your home has a history of CO infiltration. Place the detectors close to bedrooms. The loud alarm is designed to wake you from sleep so that you do not continue taking deep breaths of poisonous gas unknowingly. When installing your detector, make sure to follow all instructions. Be sure the device you have purchased is certified by the Underwriters Laboratories. There are some models of CO detectors that have not proven to be 100 percent effective in independent testing. The detector will likely require testing every so often to ensure it is working properly and the alarm is capable of ringing loudly. 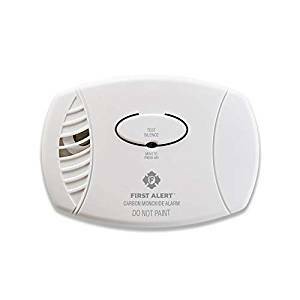 Should the alarm not sound and you are experiencing any of the symptoms outlined above without another identifiable source, get out of the house and find fresh air immediately. This likely means, your CO detector is malfunctioning. Take care when using a wood burning stove that fire doors are secured and be sure your model stove is certified by the EPS. It is vital that these measures are taken so that the risk of carbon monoxide infiltration in your home is reduced as much as possible. If followed, these guidelines, in cooperation with a certified Carbon Monoxide detection system that is regularly maintained, are sure to keep your family safe from CO poisoning this winter and beyond.